Which B-and-Bee formula is there right one for you? There’s a B-and-Bee formula for every great night out. Do you work in the leisure industry? Or do you organise festivals or events? B-and-Bee also offers creative and flexible sleep solutions for individuals. 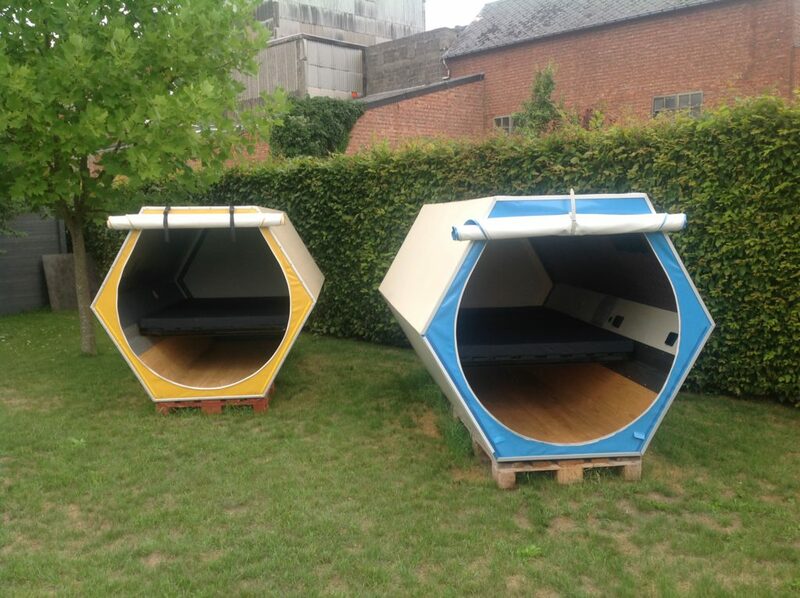 For all those needing some innovative sleeping accommodation briefly or for longer: hurry down to B-and-Bee! Do you wish to install modern and comfortable sleeping accommodation on a permanent basis, without lots of investment and changes to infrastructure? Then we have the perfect deal for you. 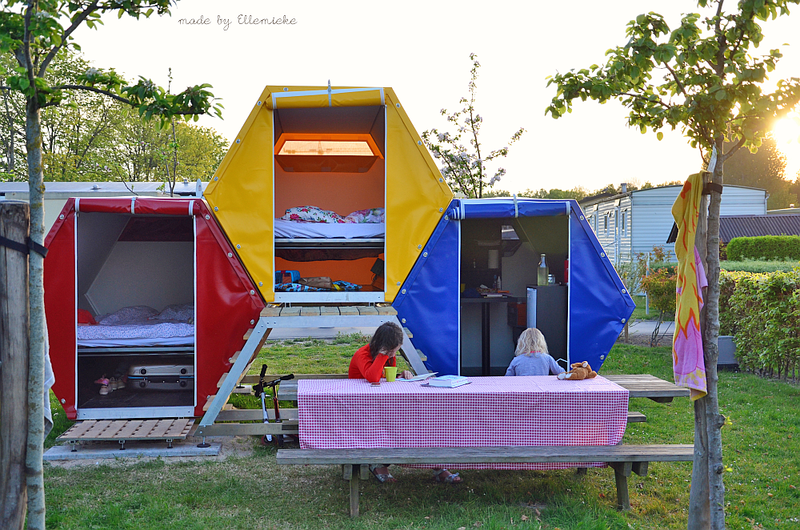 Not only that, the unique honeycomb shape also means you can start with just one or a small number of units, as more beds can be added quickly and easily later on. 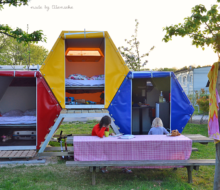 Using the handy B-and-Bees it’s simple to offer or add sleeping accommodation. 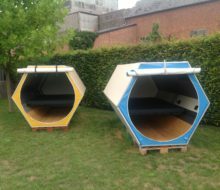 You can buy one or a number of sleeping units to give all your guests an innovative, comfortable and bee-rilliant sleeping experience. A B-and-Bee is actually even part of the fun! We bet you that some guests will come purely for this unique sleeping experience! This is a freestanding unit in a fixed formation. We can construct it on-site for you or deliver it ready-made to your required location. DIY fans can do it themselves using a flat packed kit and assembly video. These are identical to the freestanding units, but stacked. A typical set-up consists of two units on the ground and a third on top in the middle. This can either be three sleeping units, or for example two areas for sleeping and a little kitchen and/or dining area. We call this a family-unit. We currently ‘build’ the units up to two floors high. In principle you can just keep on adding units at ground level: 3-5-7-9-11-13-etc. You can do this in a straight line, or in an arch if you prefer. In this way accommodation can be arranged around a central area: for example around dining tables, BBQ, lawn, …). Whatever you fancy.